How do I get rid of this poll?? Last edited by Benderson; 11-02-2019 at 10:06 AM. Today I spent the day cleaning to get some space so I can work on this beast. I have opened the box to look at all the bits but no assembly. Finally did my mock up build all bits accounted for. So neck fits tight, not super tight but good (like i know). I'm still feeling a bit reluctant to drill anything yet! 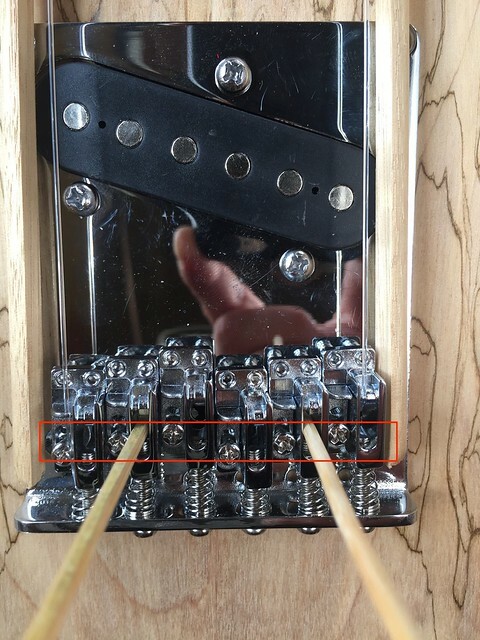 Is it a simple case of trust the pocket drill & bolt the neck on?? 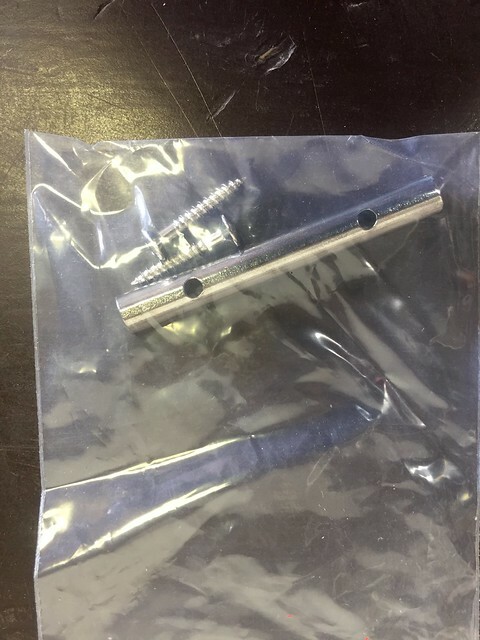 What size drill bit for the pilot hole? The body has holes so what's my straight edge blah blah blah. can ya tell i have no idea. what & where do these bits go??? There's some beautiful grain on that body; looking forward to seeing how this turns out! 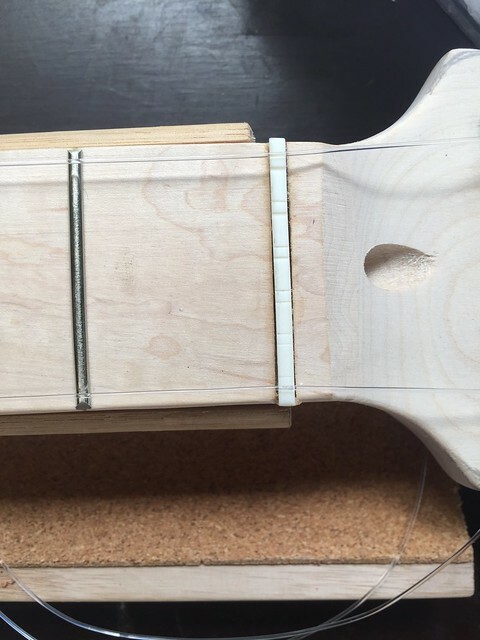 String retainers are often on FR and other floating bridges to stop the strings popping off the nut on wild bends... on that 12 string, though, all I see is another friction point where you least want one?!? "If it's Blues music in a bar and it helps people swallow their drink of choice, or it's a dance song and people get up off their chairs and shuffle their feet, or it's a Jazz tune and the Chardonnay tastes so much better... then it's all good." 1) This is where I'm at after bit more fluffing around. Not confident with the pick guard. Can it be reshaped? what Tools? 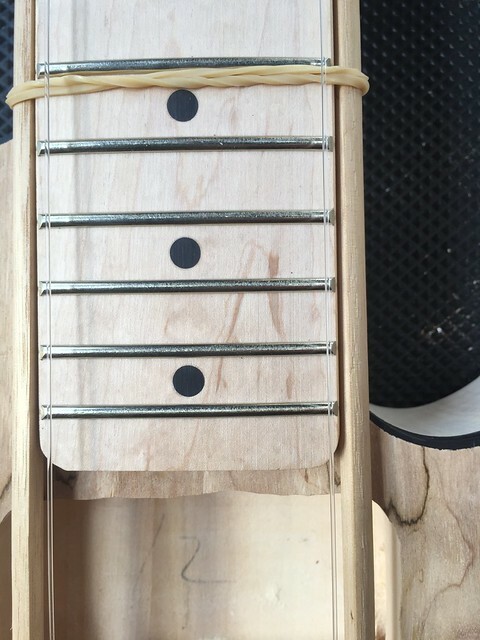 2) the stings look ok down the neck I'm leaning towards moving the bridge 2mm towards the low E string?? 3) If i do move it a few mm will it impact on the stringing up via the through holes on the body?? its only 2mm?? is it even worth doing it for that amount? 4) And then there is these holes that I didn't put there? I noticed these as i was lining up the bridge which seems ok? the PU is up against the cavity wall. One of the reasons I'm leaning towards moving the bridge 2mm?? don't know?? still not feeling confident. Last edited by Benderson; 12-02-2019 at 05:05 PM. Yhep the pickguard always needs a bit of tweaking on the Tele. I just use my sanding tool on the dremel. Ok, fine grit? Are you wedging it between anything or clamping it to a bench? did it vibrate? I'm freak'n out. If you're worried, do both. 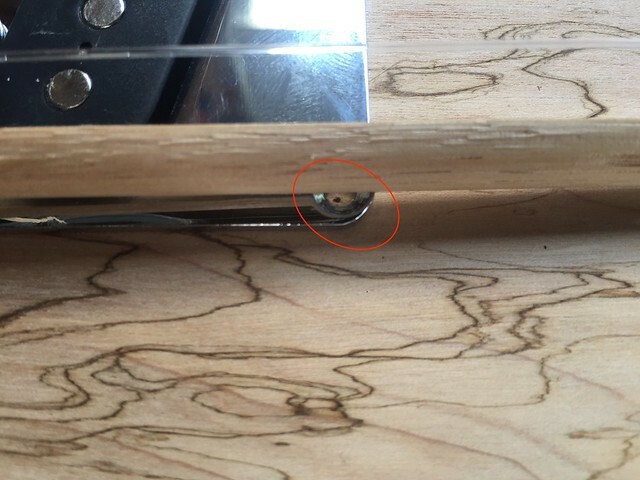 clamp it down to your bench between two pieces of wood or similar. And only feed out as little of the area as possible that you are working on. Ahhh, I usually just hold it. the dremel at high speed doesn't vibrate very much. if you want to get a feel practice on a bit of scrap wood or something. 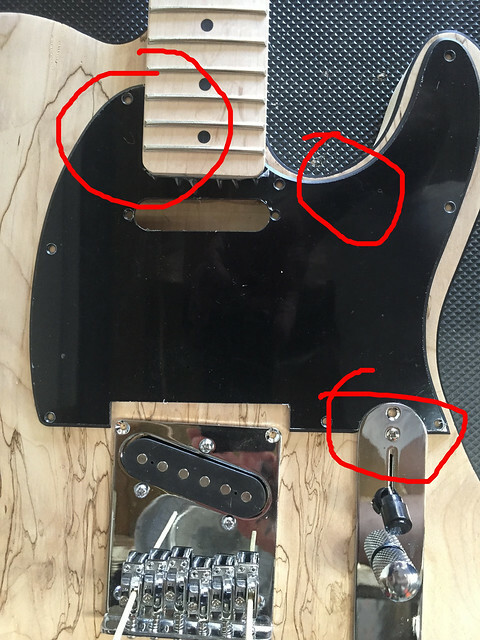 What happens is the whole pickguard can then come downwards on the right side a bit which fixes the issue on the horn side and makes it parallel with your bridge. Then it will stick out in the neck pocket. at that stage, if I'm happy with the placement, I will drill the holes fit the pickguard and use the dremel to sand the pickguard out of the neck pocket. Just one way of doing it.